When I saw Tenia's card I knew I wanted to use my type writer stamp. I have used delicata gold ink instead of embossing. Tenia often uses splatters so I got them in plus I had a go at using staples to adhere the vellum-makes for a funky look I think. This was a fun card to make, so thank you Tenia for the inspiration! 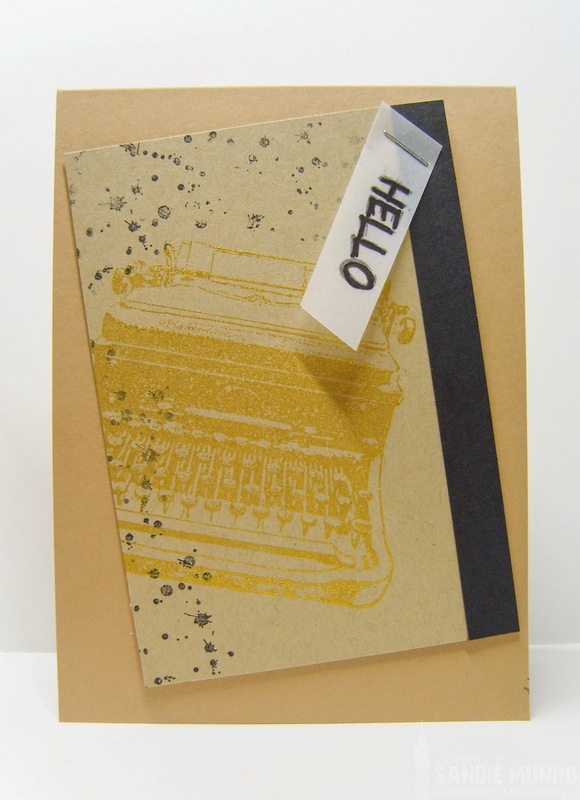 What a perfect take on Tenia's inspiration card...the typewriter is awesome! Love the tie-in between the type writer and the strip with the sentiment on it! So great to see you at Muse this week, Sandie! This is a great card with a masculine flair! I tend to forget to plan a spot for the sentiment, I really like this idea of just stapling it to one corner. Love the effect of the Delicata Gold on Kraft! 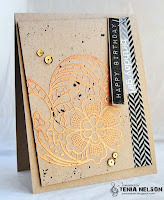 Such a fabulous take on Tenia's card, Sandie...Love it! Fantastic take on Muse Sandie! Great way to use a typewriter stamp Sandie - I never know what to do with mine! It looks gorgeous in the gold, especially with all those splatters! Great cASE of Tenia's card! Very fun and funky! cheap adidas originals Of course, selling adidas factory outlet more than flour Mito one, however, as they like Mito cheap adidas originals flour pure and cheap too so every cheap adidas originals adidas australia sale cheap adidas originals transaction in a very cheap adidas originals hard to find. God knows why the adidas zx shoes note will appear, as has been afraid sliver know, secluded location.